At Glacier Chiropractic, we are a personal injury chiropractor in the Ballard, Seattle area. 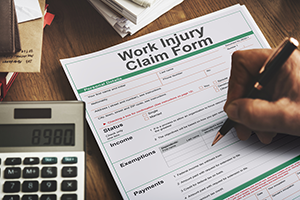 If you’ve been injured on the job and are going through a workers comp claim, we can help you feel better faster. Regardless of how trained and specialized employees are, accidents and personal injuries will eventually occur. Our billing staff is knowledgeable about how to work with insurance companies or responsible parties for your injury claim. If you’re an injured worker, you should be able to receive the proper chiropractic care needed to heal. These symptoms could all be related to whiplash or a moment in which someone awkwardly fell causing the spine to twist while misaligning the neck and spinal discs and even pinching nerves. In many cases, a professional chiropractic adjustment and realignment of vertebrae discs can free trapped nerves from continuing to cause headaches and other debilitating problems to your mobility and work performance. At Glacier Chiropractic, we’re a full-service personal injury chiropractor located in the heart of Seattle’s Ballard district. If you’ve filed a workers comp or personal injury claim regarding back or neck pain, call us today. Glacier Chiropractic offers both walk-in and emergency services Monday through Friday and by appointment on Saturdays. Chiropractic services are proven to help alleviate and manage back-pain, repetitive injuries, and other occupational related injuries specific to the muscles, tendons, and spine. Call us today, and we’ll help you to sort out the details while communicating with the insurance company or responsible party so that you can feel better faster.